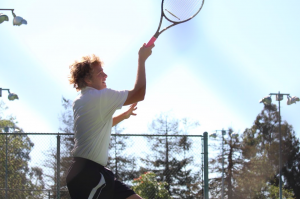 The boys’ tennis team made it to the second round of the California Interscholastic Federation (CIF) playoffs. After previously beating Palmdale High School 14-4, they fell to Oakland High School on Wednesday, May 9 by a score of 13-5. This concluded their 2018 season. The first round of the playoffs was held at home for the Dragons. 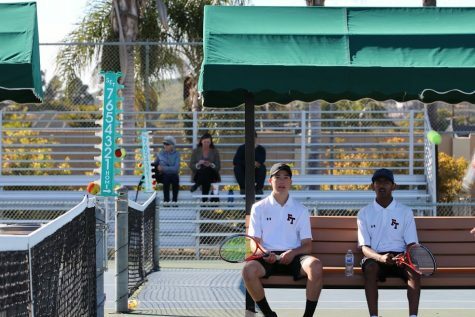 On Tuesday, May 8, at the ever-familiar Ventura College (VC) courts, the boys’ tennis team defeated Palmdale High School with a convincing collective score of 14-4. 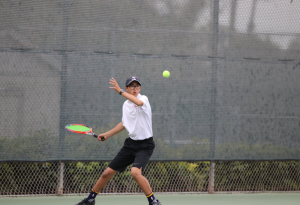 Yuvi Narang ‘20 and Ethan Wang ‘20 both swept their match: Narang won 6-0, 6-0, and 6-1, only giving up one game total, while Wang finished with scores of 6-1, 6-0, and 6-4. 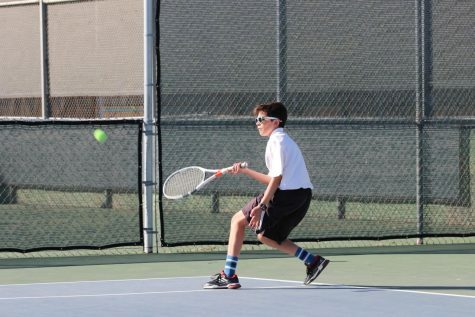 Kai Page ‘21 pulled off two wins (6-4 and 7-5) but had a bit more difficulty with the opposing number one player, losing 6-1. 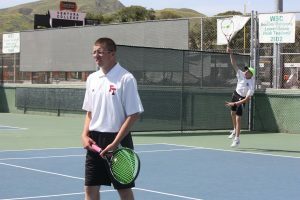 All three Foothill doubles teams struggled against Palmdale’s number one team, but each of them came back to win both of their other sets. Eesh Manwani ‘21 and Nikhil Maserang ‘21 lost the first set by a score of 6-3 but came out on top in the other two (6-0 and 6-1); Jaden Carlson ‘18 and Jackson Beckendorf ‘18 were defeated 2-6, but pulled it together to win their other matches with scores of 6-1 and 6-2; and Thomas Carrillo ‘21 and Devin Franke ‘21 dropped the first set 5-7 but rebounded with set wins of 6-3 and 6-4, putting up a good fight against the number one doubles for Palmdale. 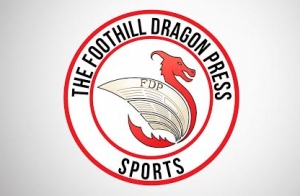 The day after recording a solid win against Palmdale, the Dragons traveled to Oakland High School to compete against the Wildcats in the second round of the playoffs. 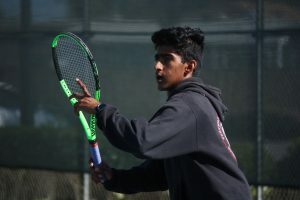 Unfortunately, the Dragons were overtaken by their “aggressive and dominant“ opponents, as described by Yuvi Narang ‘20. On the doubles courts, only one set was won overall. Eesh Manwani ‘20 and Nikhil Maserang ‘21 initially beat the number three Oakland team 6-3, but lost their other sets 6-0 and 6-3. 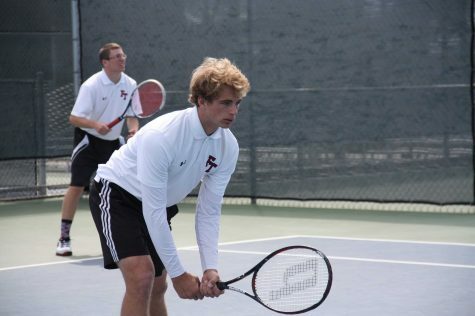 Jaden Carlson ‘18 and Jackson Beckendorf ‘18 had no luck, losing 6-0, 6-1 and 6-0. 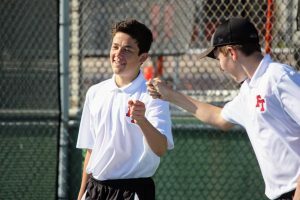 Devin Franke ‘21 and Tomas Carrillo ‘21 had a similar experience: losing 6-0, 6-2 and 6-0.